We tend to take windows for granted and only notice them when things have gone horribly wrong. Choosing the wrong windows can impact the appearance of your home. Energy efficient windows can trim thousands off your energy bills – according to the Energy Saving Trust up to £160 per year – but understanding the differences between u-values and WERs can be a mind boggling. Let’s start with the basics. Forget performance for a moment, let’s focus on aesthetics. Choose windows and doors that reflect your home’s architectural style. Stick with, or subtly update, your homes architectural style. You can modernise but think carefully about its impact on the appearance of your property. Think about material type. Are you ready for maintenance that goes with timber windows or do you want a low to ‘no’ maintenance PVC solution? Colour and finish. Sticking with aesthetics, your choice of window colour and finish will go a long way to defining the overall character of your property. Energy efficient and low maintenance double and triple-glazed PVC-U windows are available in a wide variety of finishes. WERs (Window Energy Ratings) or U-values. This is where we get a little bit technical. The performance of windows are measured in both. A u-value is a measure of heat loss or heat transfer. WERs, throw-in additional calculations to the mix, including solar gain (warmth from the sun) and that lost through air penetration. To meet building regulations, all new windows must achieve a minimum WER ‘C’ rating or U-value of 1.6 or less. Double or triple glazed energy efficient windows? In the UK we love to obsess about the weather we don’t get the extremes of other countries, for example the artic winters of Scandinavia. Double glazing delivers a high level of energy efficiency at an affordable price point. Energy efficient triple-glazed windows and doors may be better suited to very exposed or north facing aspects but will cost more. 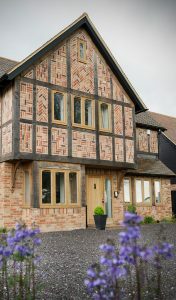 Premier Window, for example, supplies a thermally efficient triple-glazed window with a U value as low as 0.8W/m².K. It’s a great window but with more glass and more complex handling, costs more. Consider the orientation of the sun – Solar gain is in general a good thing. You’re using energy from the sun to warm your home but it can also be a problem. We have all been in those old conservatories which are impossibly hot in summer and freezing it in winter. If your windows are south facing, or like a conservatory get a lot of sun, consider solar control glass. This has all the insulation of energy efficient units but will deflect unwanted solar gain, keeping your room at a comfortable year-round temperature. Don’t forget about ventilation! It’s one of the reasons we have windows. Trickle vents maintain a regulated air flow through your property helping to reduce condensation and maintain air quality. Good installers will talk you through your options. Security – all windows and doors will deliver a high level of security, featuring multi-point locking. Enhanced Secured by Design or SBD options go one step further. The Police administered scheme sets an even higher level of specification. If you’re concerned about burglaries you may want to consider enhanced security SBD doors and windows. Premier Windows Can talk you through the options. Most importantly appoint a good installer. It goes without saying that you want a good installation business to fit your windows. They’ll help you make the right choices for your property, the right company will take you through everything. Make sure that they’re a member of an accreditation scheme, for example Which Trusted Trader; FENSA; the GGF or DGOS.